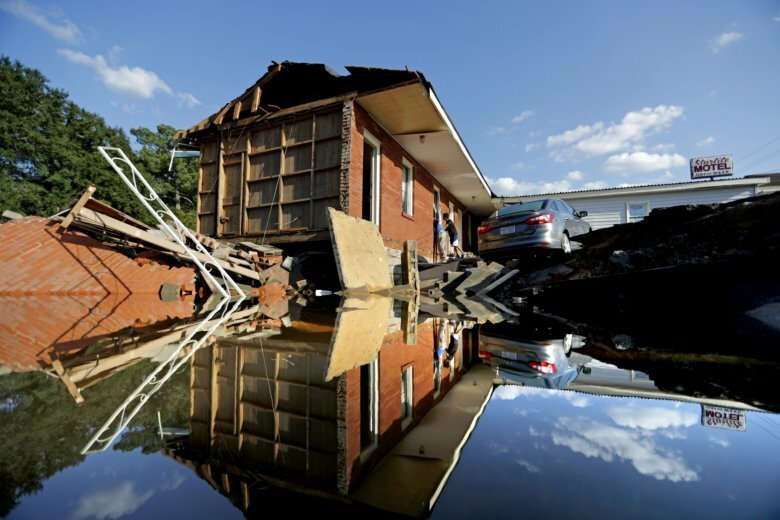 The new owner of the NFL’s Carolina Panthers has announced an initial package to aid Hurricane Florence disaster relief efforts in North and South Carolina. The team is also spearheading and coordinating an effort with college football programs in North and South Carolina to unveil a special “One Carolina” helmet sticker to be worn during games on Saturday. Panthers players will wear the sticker during Sunday’s home game against Cincinnati. Gov. Roy Cooper says he’ll call a special session of the North Carolina legislature in a few weeks to get initial state funding approved to aid the Hurricane Florence recovery. The governor hasn’t said how much damage the storm has caused but earlier Thursday said it would be in the billions of dollars. Cooper’s news release says he’ll be assembling funding requests for lawmakers in Raleigh and in Washington. Special sessions have been called after Hurricane Floyd in 1999 and Hurricane Matthew in 2016, either two or three months after each event. This one will occur more quickly. Cooper says it’s clear the destruction caused by Florence is “historic” and that elected officials need to come together to begin rebuilding. Hemingway says in the worst-case scenario, more than 10 percent of the county’s 61,000 residents might have to evacuate. Flooding could cut off U.S. Highway 17, the main road north out of Georgetown. North Carolina’s electric cooperatives reported Thursday statewide outages have dropped to about 38,000, down from a historic high of 326,000 on Saturday. The chairman of the New Hanover County commissioners says the nonprofit organization came to Wilmington four days before the storm. He says it has provided 90,000 meals so far for shelters, first responders, the National Guard and the people working in the county’s emergency operations.